CHIREDZI - The Vahlengwe people in Sengwe communal lands have managed to put social media to good use through a WhatsApp group which allows ordinary community members to interact with their elected and traditional leaders. The group was created by the Community Initiatives for Sustainable Development (Cifosud) trust which has been credited for facilitating rural development through social media. Key to this idea is the linkage that has been created between community leaders and the people they represent. The WhatsApp group allows members to express themselves feely and honestly without any fear. 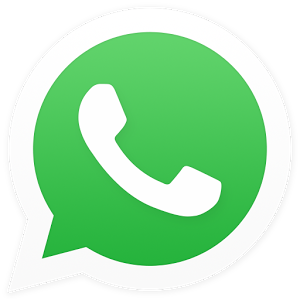 Cifosud director Auspicious Ndlovu said WhatsApp was chosen because it is one of the most efficient and cheapest mode of communication which brings many people together in an instant. "The purpose of the Cifosud WhatsApp group is to give ordinary people vital knowledge on their rights in order to influence decision-making processes while encouraging them to participate in development," said Ndlovu. Ndlovu said many underperforming elected officials have now seen the seriousness of the idea as the group exposes incompetence wherever it exists. "Some leaders are resisting as they feel exposed but we are happy with Rtd Brig-Gen (Kallisto) Gwanetsa our MP because of his interaction with the community. He is taking a lot of developmental issues we raise in the group to parliament and some positive results are being seen," Ndlovu said. Ndlovu said their community has been marginalised for quite a long time but due to advocacy and lobbying through the group, something is now happening on the ground.